The next installment in the Generations series is Power of the Primes! The new series combines elements from both Titans Return and Combiner Wars. 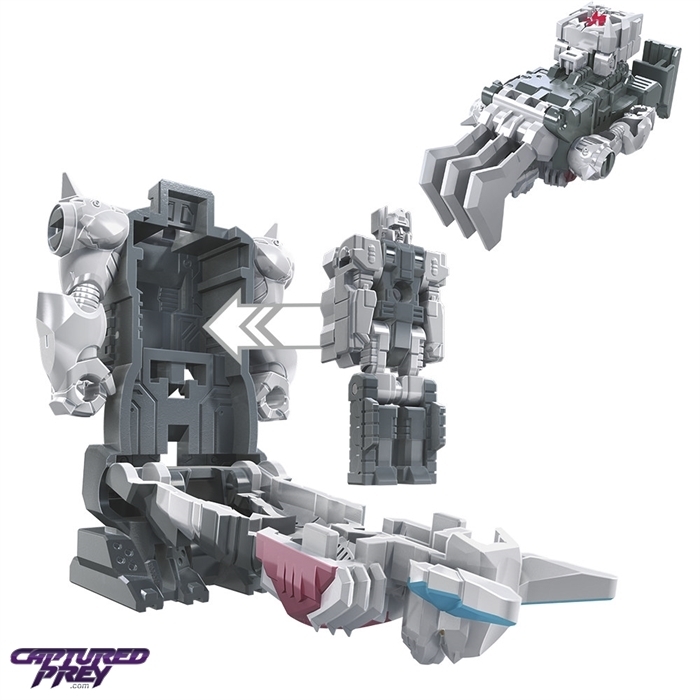 Megatronus suits up for battle in his Bomb-Burst armor, and can serve as a power core or weapon for larger figures as well!